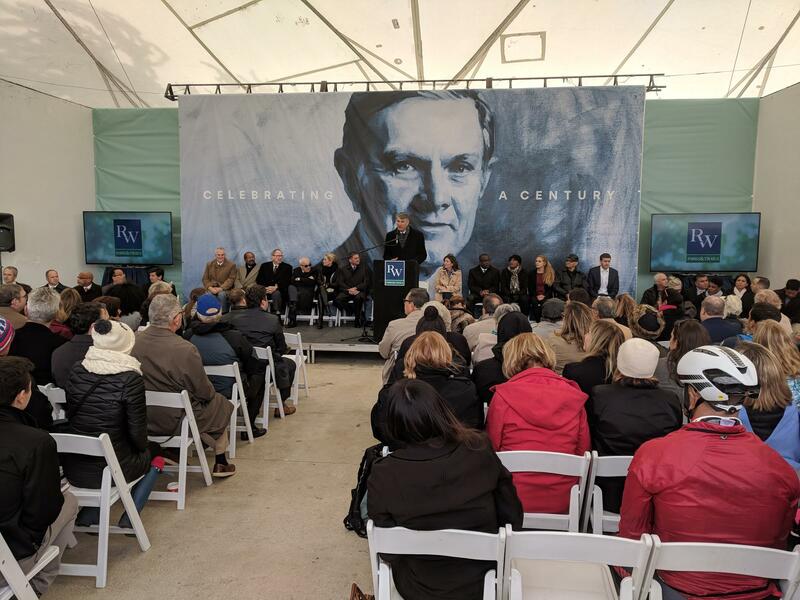 Wednesday would have been the 100th birthday of former Buffalo Bills owner Ralph C. Wilson, Jr. To honor the milestone, the foundation created in his name announced a major investment in the two places he called home. $100 million was the original amount the Ralph C. Wilson Jr. Foundation planned to invest in honor of its namesake’s birthday. But Wilson’s wife Mary insisted that the amount be doubled. Now, $200 million will be invested in New York and Michigan. $40 million will go towards re-development of LaSalle Park on Buffalo’s waterfront. Another $10 million will be endowed for long-term maintenance. The same amounts will be invested in a new regional trail system across Western New York. The other $100 million will fund matching projects in Detroit’s West Riverfront Park and trails across Southeast Michigan. 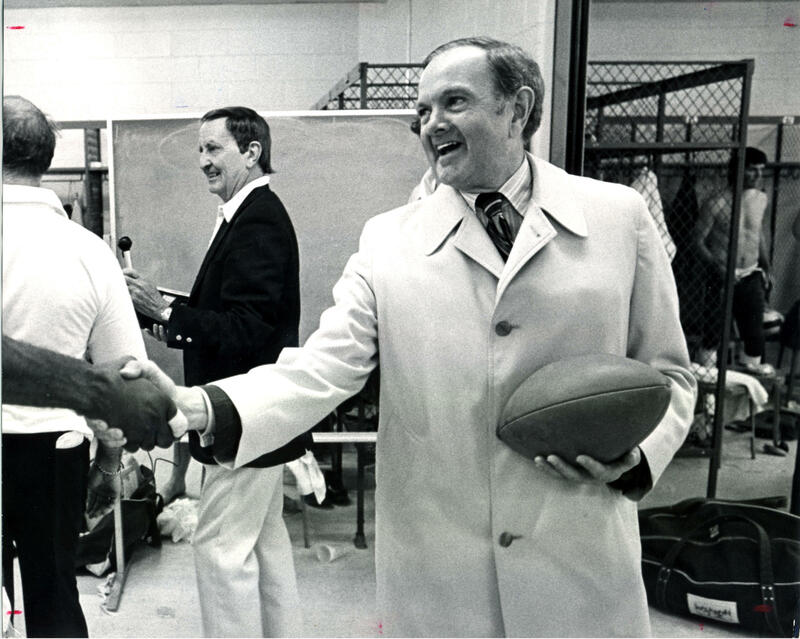 In both cities, the parks will be renamed Ralph C. Wilson, Jr. Centennial Park. 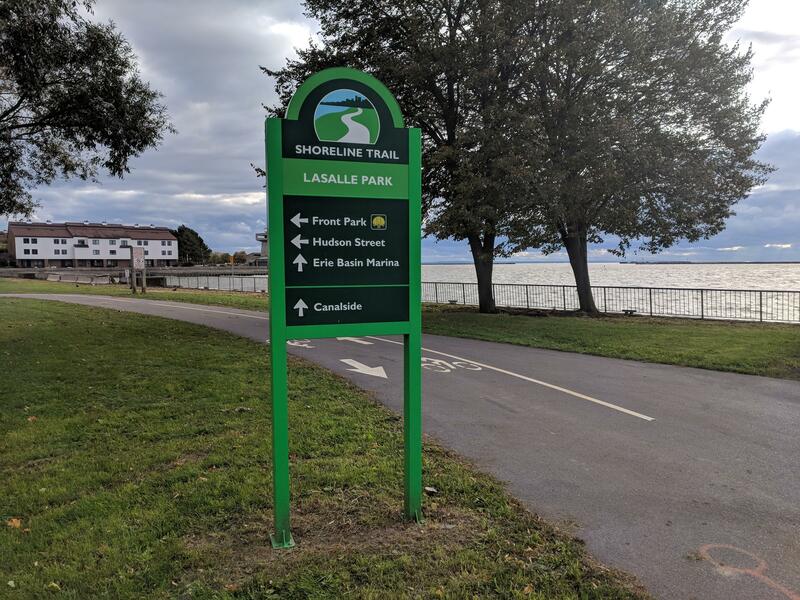 At LaSalle Park, redesign is being done in concert with the city’s “Imagine LaSalle” focus group, which is developing a vision based on community input. Buffalo Deputy Commissioner for Parks and Recreation Andy Rabb said the project is about linking the park to activities and the community that surrounds it. A timeline for the projects in Western New York is already in mind, according to Egner. David Egner announces the Ralph C. Wilson, Jr. Foundation's investment at the band shell in LaSalle Park. “Construction, we’re hoping, will take place sometime in the next 18 to 24 months, after the design process. This type of park – it’s usually about a two-and-a-half to three year construction timeline,” Egner said of LaSalle. “The trails will come to us project by project, working with the state and local municipalities. Some are ready to go right now. We’ve already done about $11 million of trail construction, not including this new $40 million,” he said. At Wednesday’s announcement of the investments, Mary Wilson wore her late husband’s 2009 Football Hall of Fame ring as a symbol, and said it marked one of the greatest moments in his life. Now, she said, the investment in the two places he called home is another of those moments. “And he’s really in the hall of fame of life,” said Wilson.